Businesses for Sale on the Costa del Sol: Popular Areas. Costa del Sol Area Guide. Businesses for Sale. The Costa del Sol is one of Europe’s most popular tourist destinations, with towns, areas differing greatly, catering for different business and tourist types. Below are some examples of the more popular towns on the Costa del Sol. 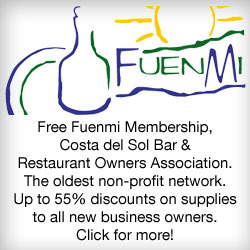 Businesses for Sale in Fuengirola on the Costa del Sol, Spain. For more than 30 years, Fuengirola has been a tourist hot-spot. An all-year-round destination, Fuengirola attracts visitors from all over Europe and the World. During the high-season months, it can be difficult to move and even in the most quiet, off-season months, there are plenty of people living there for the winter. Business is booming in Fuengirola! 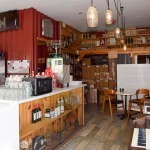 See our bars, restaurants and other businesses for sale in Fuengirola. Or use the ‘Business Search‘, top-right. Businesses for Sale in Benalmádena on the Costa del Sol. One of the largest, oldest and most popular tourist destinations on the Costa del Sol, Benalmádena is a thriving and bustling town with a lot to offer those looking for businesses for sale. Historically a very English market, Benalmádena is expanding it’s clientele to those from all over Europe. Bars and restaurants can thrive in this busy town – particularly in the marina. See our businesses for sale in Benalmádena. 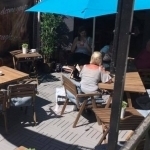 Bars, Cafes and Restaurants for Sale in Torremolinos on the Costa del Sol. Torremolinos has a well-established and very popular tourism market. It is known locally – and widely – for its vibrant nightlife (particularly its numerous bars and clubs catering to the LGBT community). The town is popular with both Spanish and foreign tourists, providing an ideal, all year round clientele. Here are a couple of examples of businesses for sale in Torremolinos. 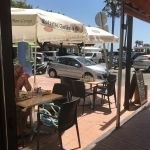 Established Cafe Bar in La Carihuela, Torremolinos, Costa del Sol, Spain. Or see the complete list of businesses for sale on the Costa del Sol, from Britannia Estates.